5793 labyrinths found. Showing 3781-3800. Sorted by country, state, city, then zip/postal code. Make appointment to ride a therapy horse through the labyrinth while using selfegio healing tuning forks on your chakras! 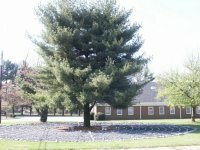 Our Labyrinth is in a beautiful setting on the South side of our sanctuary. Parking is easy and allows for a prayerful walk in all seasons. Generally available during Holy Week and last two weeks of Advent during church worship times and office hours, 9:00 am - 5:00 pm. James L. Panter, III, P. E.
See website for directions from multiple highways. Please visit Kuanga's front desk upon arrival and check-in. The Kanuga Labyrinth is open to guests and "Friends of Kuanga," and is available 24 hours a day. Please observe the rule of silence when in the vicinity of the labyrinth. On the website, click on ‘Maps’ to locate Holmes, then on the ‘Holmes’ link on the map for more information. Easter and Christmas, M-Th 8:30-3:00 pm. Larger groups can call the office to schedule time to walk the labyrinth. Located in the University's Rhyne Quad (off 7th Avenue NE) near Mauney-Schaeffer Conference Hall. I-40 to exit 128. If you are travelling West on 1-40, at the top of the exit take a right, the hospital is approx. 1 mile on the left. Travelling East, then take a left at the top of exit 128, the hospital is approx. 1 mile ahead on the left. Call for availability or to borrow. Located on the 5th floor by the elevators. Open to the public. 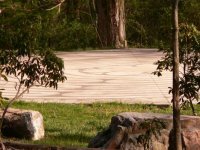 Created by former Highlands resident Jaan Ferree and constructed by a group of volunteers under Jaan's direction, the labyrinth is a seven-circuit design made of rocks and stones from the land at Carpe Diem. Mon-Fri 9-4; Sat by appointment and closed Sunday. We have a Chartres Style Labyrinth located in our pasture and a Cretan Style in our forest. We are located in the North Carolina Appalachian Mountains. We have a cabin rental business that is perfect for retreats - see our website for details. From Interstate 77 traveling north, take exit 23 (Gilead Rd.) Turn left onto Gilead Rd. (toward Presbyterian Hospital). Turn left at the second stoplight onto Reese Blvd. At the fork, bear right, continuing on Reese Blvd. After Joe Gibbs Racing, turn right onto Vanstory Dr. Continue to 11900 Vanstory Dr. The entrance to Levine & Dickson Hospice House is the next driveway on the right. From Interstate 77 traveling south, take exit 23 (Gilead Rd.) Turn right onto Gilead Rd. (toward Presbyterian Hospital). Turn left at the second stoplight onto Reese Blvd. At the fork, bear right, continuing on Reese Blvd. After Joe Gibbs Racing, turn right onto Vanstory Dr. Continue to 11900 Vanstory Dr. The entrance to Levine & Dickson Hospice House is the next driveway on the right. Monday - Friday 8:30am - 5pm. Or by a scheduled tour of the Levine & Dickson Hospice House. quarterly labyrinth workshops. Call church for times and details.